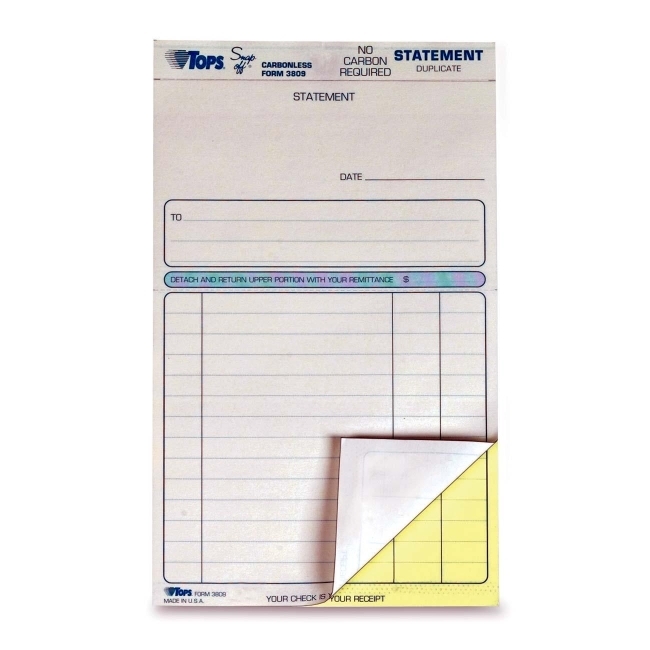 Tops Black Image Carbonless Snap-Off Statement Set - 8.50" x 5.50"
Carbonless statement two-part forms offer a versatile tool to complete a variety of statements. 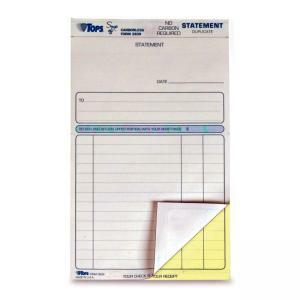 Each perforated form includes a date, place to fill in the customer and ruled area to list up to 14 item descriptions in one long column and three shorter ones. Long blue oval offers a place for the total and reads, "Detach and return upper portion with your remittance." Each two-part set includes an original in white and duplicate in yellow.